The edges of the door can be prone to damage so it is important to specify the correct lipping to provide protection, particularly to the face of the door. Doorview ensure that lippings are provided with a minimum thickness of 7mm. Hardwood is utilised for its greater density and strength, whilst the choice of timber species can be matched to a specified veneered facing. Lippings are generally applied to the two vertical sides of the door but can be applied to the top and bottom as well, providing protection in external or high moisture areas. In addition, lippings can be provided either exposed, concealed or edge banded, providing different aesthetic options. There are varying options that can be provided with the doors to change the aesthetic of the door and the interior of a room. 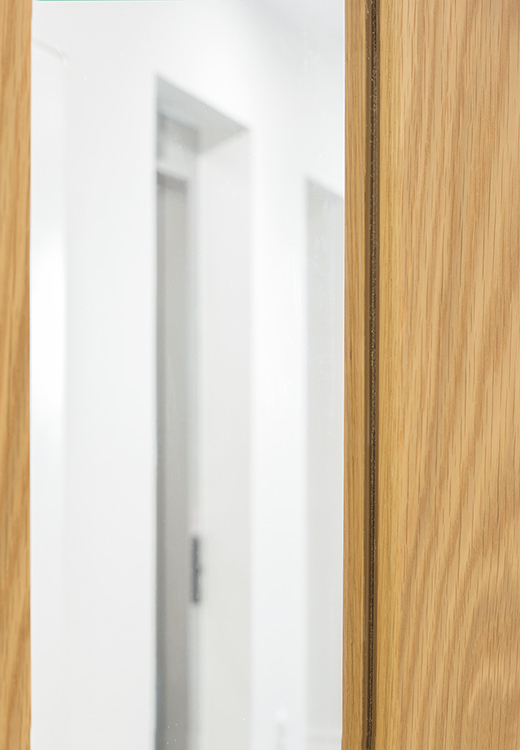 Panelled doors can be supplied to provide a traditional aesthetic where required, or alternatively, flush doors can be supplied ingrained with grooves to provide the appearance of panels and add visual interest. In addition, many different materials can be inlayed into the door to create striking visual effect. 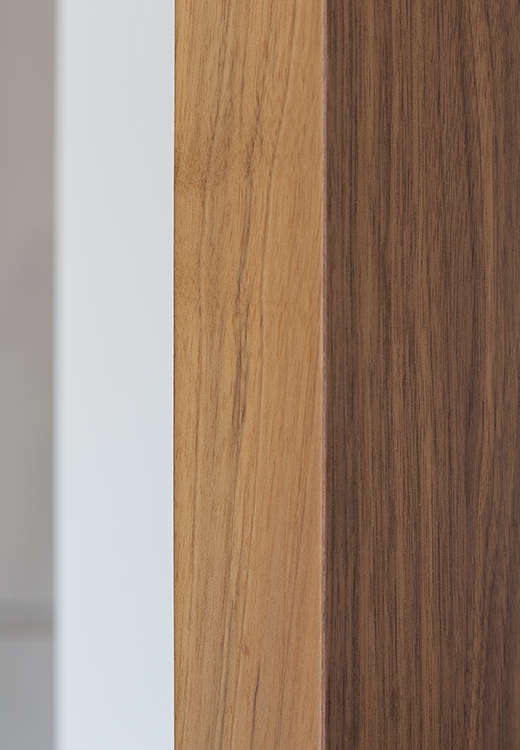 Whether it is contrasting veneers, metal sheets or decorative mirrors, Doorview ensure that the detail is taken care of, resulting in striking door aesthetics for your project. 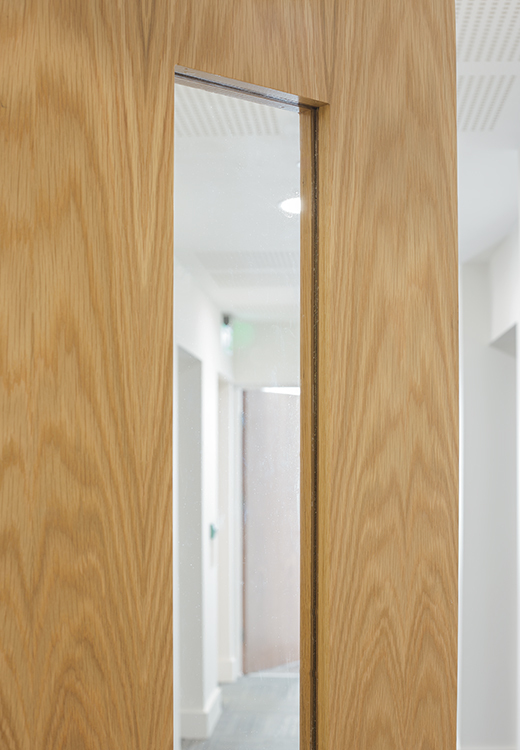 The use of intumescents and seals around the perimeter of the door is essential to its performance, providing resistance to fire, smoke and sound. 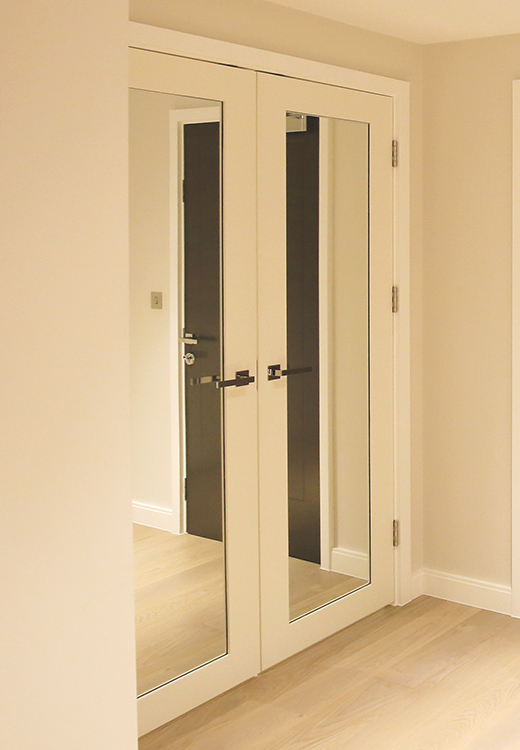 Intumescents are either fitted in the head and jamb of the frame or concealed behind the vertical door lipping. Generally held within a 15mm x 4mm plastic carrier, the intumescent is available in different colours to match or contrast to the finish of the frame. Successfully tested for fire and smoke performance against BS 476 Pt 22 and BS EN 1634-1, the intumescents provide fire and smoke integrity. In addition, Doorview can specify a combination of seals that achieve an acoustic rating of 38dB, meeting and exceeding the requirements of Approved Document E.
Often used within door leaves to let light into a room or to allow people using the door to be seen, vision panels are prevalent on any door specification. Doorview can ensure that your vision panels comply with the recommendations of Approved Document M and BS 8300. Vision panels should be positioned towards the leading edge of the door and provide visibility between 500mm and 1500mm from the floor. Manifestations can be supplied on larger vision panels to ensure the glass is evident to all users. This can be utilised creatively to apply signage or branding. In addition, Doorview can supply vision panels that utilise blinds or switchable electric glass to enable the panel to be obscured providing privacy. In order to ensure glazed vision panels remain in place, glazing beads need to be supplied on the door. 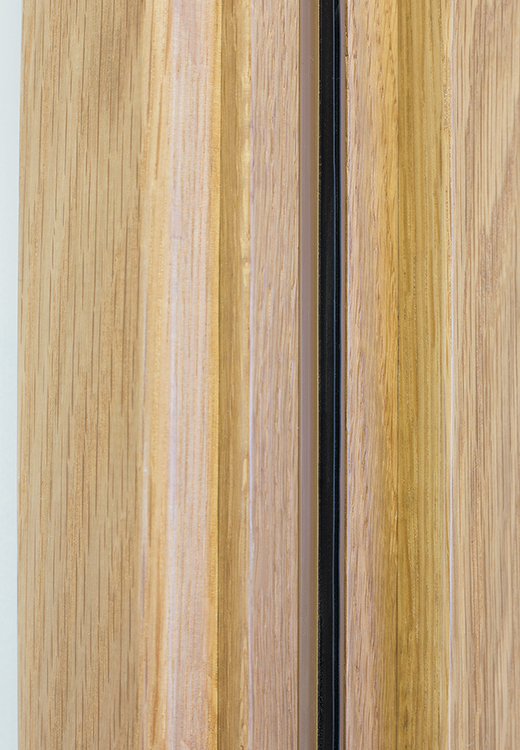 Generally formed from hardwood, the glazing beads are available in a number of timber species to match the veneer of the door. Alternatively, the beads can be painted to match any door finish.